By Vijaydeep Singh, Bhai Vir Singh Sahita Sadan, Delhi. An exhibition on the photograph of Nihung Singhs taken by Gurbir Singh Brar (on the October 25th) was inaugurated by Dr M S Gill, union minister, central government of India. During an informal chat of about an hour long, Dr Gill told the participants that during his childhood days, he himself had a close relationship Sursinghwala Tarnadal. 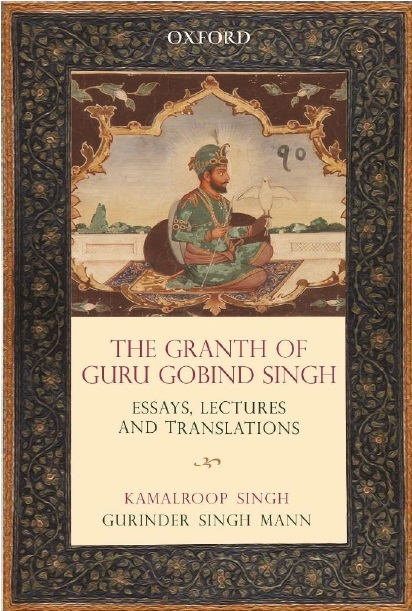 He suggested to S. Gurbir Singh to consider about another aspects of the life of Nihungs other than what is depicted via photographs in exhibition, while in exhibition most photos shows romantic valour of Nihung Singhs, Mr Gill told about the various hardships which Nihungs Singhs face in their life. 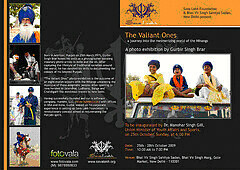 He encouraged S. Gurbir Singh Ji to take photos of the same too. He further stresses the need to formulate a plan for the upliftment of Nihungs for their bright future. For that need for social scientist and anthropologist was discussed. During this time S. Gurbir Singh told that he along side the Dera Mastuna are already in process of preserving the culture of Nihungs in Malwa Area and to let rest of Sikhs contribute to the welfare of Nihungs. Other dignitaries present included, Dr Mohinder Singh (Director, BVSSS), S. J. S. Neki (renowned scholar of Sikhism), S. Charanjeet Singh (Kalgidhar Trust, Baru Sahib) among other. It was covered by UKTV and PTC Punjabi. It was decided there and then, about a future research in the field of Nihungs and more importantly their role in the future of Sikh community. Feedback/suggestion on this issue could be send to Vijaydeep Singh email: akalustatvijay@yahoo.com.